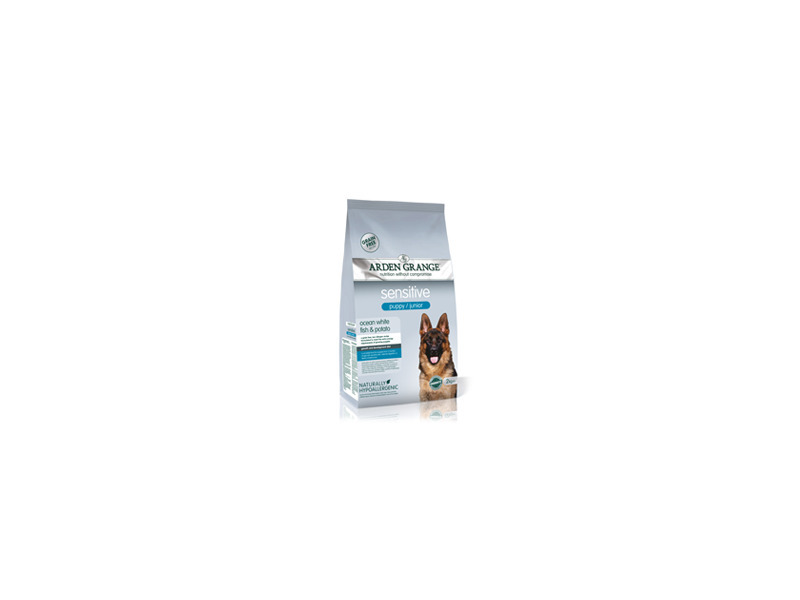 A grain free recipe, complete food for puppies from 2 months of age and adolescent dogs with sensitive skin, delicate digestion or dietary intolerances. This is a complete, super premium pet food for small and medium breed puppies and adolescent dogs with particularly sensitive skin or digestion. This gentle recipe excludes grains and cereals and contains ocean white fish as an easily digestible source of protein which is naturally high in omega-3 essential fatty acids. It supplies an optimal balance of vitamins and minerals to encourage steady, healthy growth and development. Fresh ocean white fish (23%), Ocean white fish meal (18%), Sweet potato (16%), Potato (14%), Refined chicken fat, Potato protein, Beet pulp, Fish digest, Whole egg powder, Whole linseed, Krill, Yeast, Minerals, Prebiotic FOS, Prebiotic MOS, Yucca extract, Glucosamine, MSM, Chondroitin, Cranberry, Nucleotides, Rosemary extract. 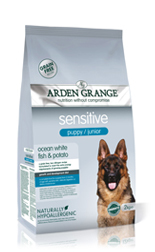 There are currently no questions for Arden Grange Dog Puppy Sensitive - be the first to ask one!